By Sia in Internet. Updated on November 2, 2017 . Have you ever wondered just which is the biggest brand in the world? 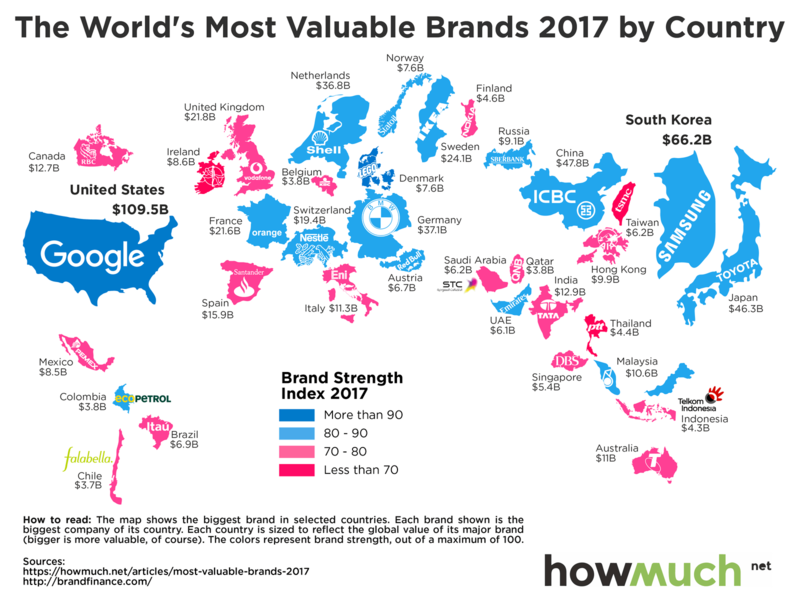 If you do, then this infographic made by Howmuch.net will interest you as it is a map that shows off the most valuable brands of 2017, as well as its brand strength, in a number of countries around the world. 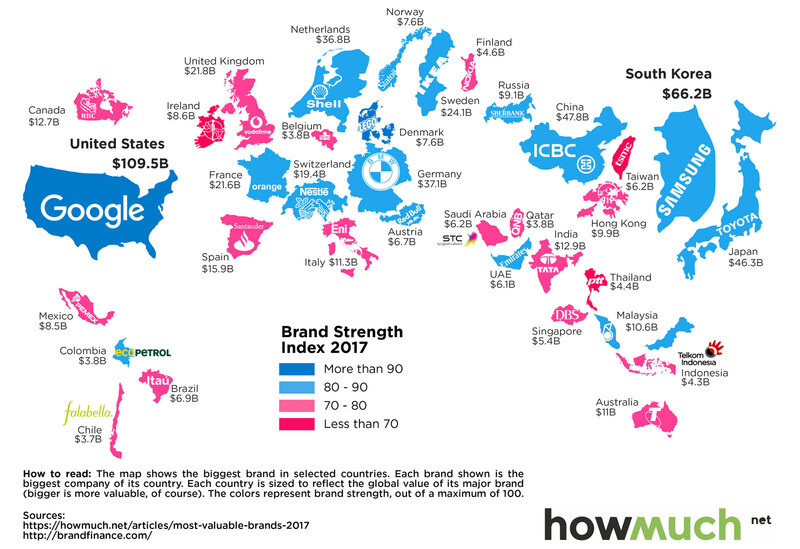 While the map doesn’t list down the most valuable brands of all the countries, the map does highlight some of the biggest brands around the world. 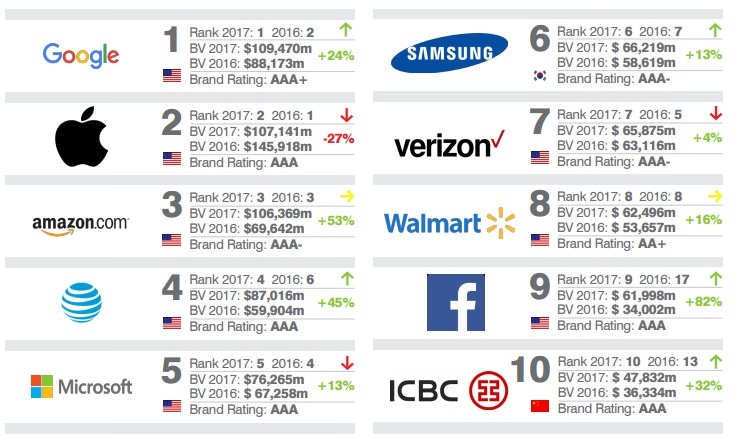 Google sits on the throne as the most valuable brand in 2017 as the tech company is valued at USD109.5 billion, dethroning its rival Apple. Besides identifying the biggest brands in the world, this map also reveals some really interesting information. For example, banks appear most frequently as a country’s most valuable brand, followed closely behind by companies that operate in the oil and gas industry. Other brands that can be found on the map comes from industries like telecommunications, automotive, and in some countries, the food and beverages industry. All of the data that was used to create this map was sourced from Brand Finance’s annual report of the world’s most valuable brands.